relation to her more racing oriented counterparts. 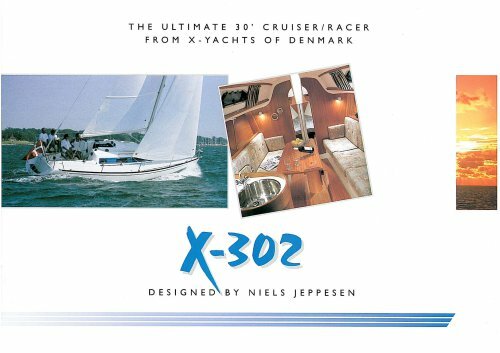 In 1987 X-Yachts introduced the X-312 which represented a move away from the restricted IOR hull forms as the early eighties.The X-312 offered a longer waterline length together with a more moderate beam, and was the first of the "easily driven" performance cruisers to be produced by X-YACHT. Seven years on, and the X-302 is launched to replace the X-312.The all new X-302 incorporates all the latest X-Yachts' features, and represents one of the most ambitious development projects in this size range to date.